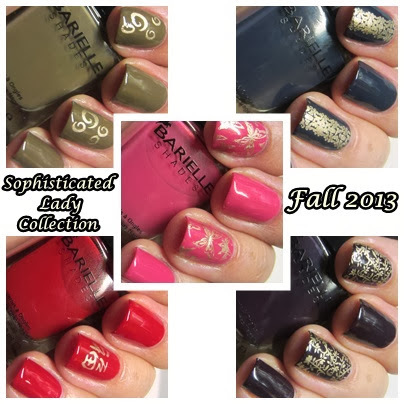 I have a lovely new collection to show you today from Barielle. It was just released this month and is perfect for the fall season. Here's some press info. I figured rather than type it all out, I would just photograph the flyer. These polishes are all lovely fall shades. My favorite was the pink "London High Tea". It has a nice subtle shimmer that brings the polish to life. The formulas for all the polishes were just great. I really have come to trust the quality of these polishes. If you like these polishes you can ENTER TO WIN THEM! That's right, Barielle is giving one lucky winner a chance to win this collection plus several other great prizes. So what do you think of these polishes? Which is your favorite? What great Barielle shades do you own/love?